Part 1 of the Universal Seat Pack, is a T6061 Alloy Wing that affixes to your saddle and works with a standard or dropper post. 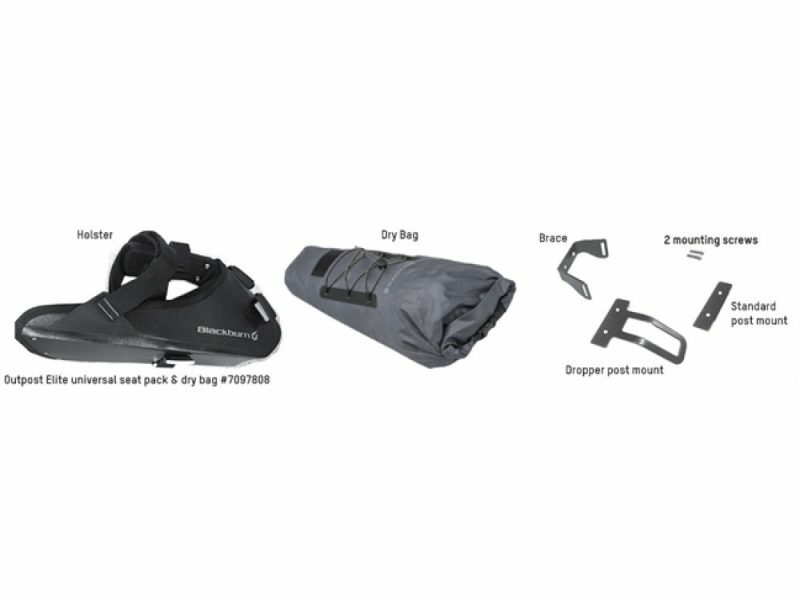 Part 2 of the Universal Seat Pack is a removable and waterproof dry bag. 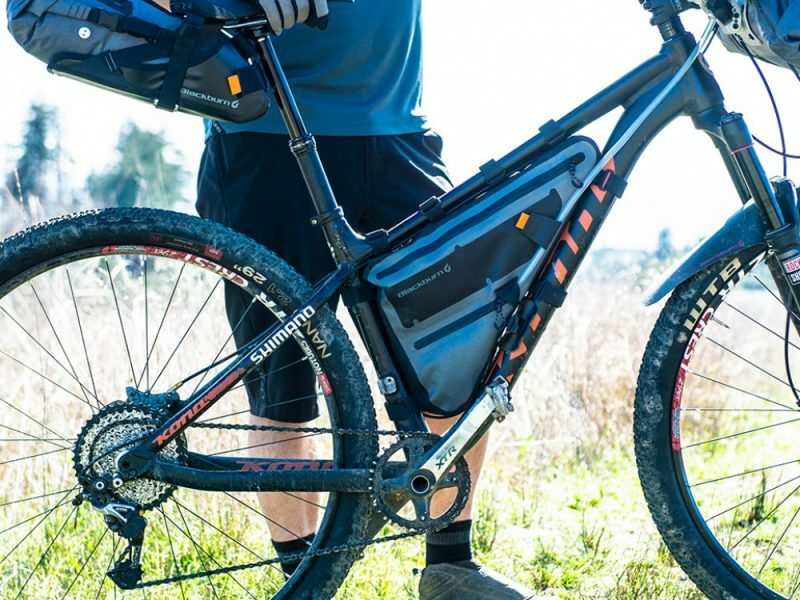 The bag has a scuba style air bleed valve to assist with compression while off the bike. 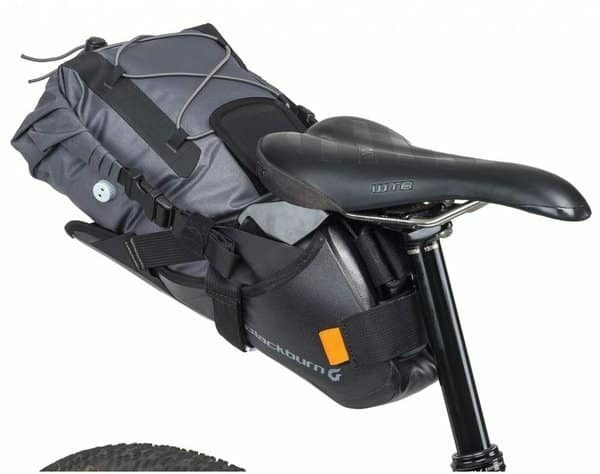 The wing stays on the bike, the bag comes off and allows you to pack, compress and go ride in the snap of a few buckles. 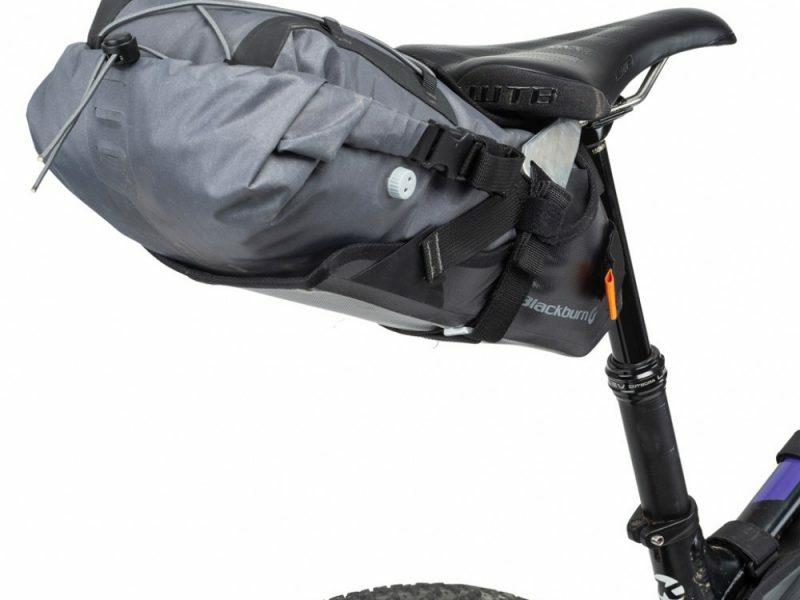 Designed to not only stabilize your seat pack, but also work with or without dropper posts. The T6061 Aluminum wing bolts to your seat rails for a rock solid mount. 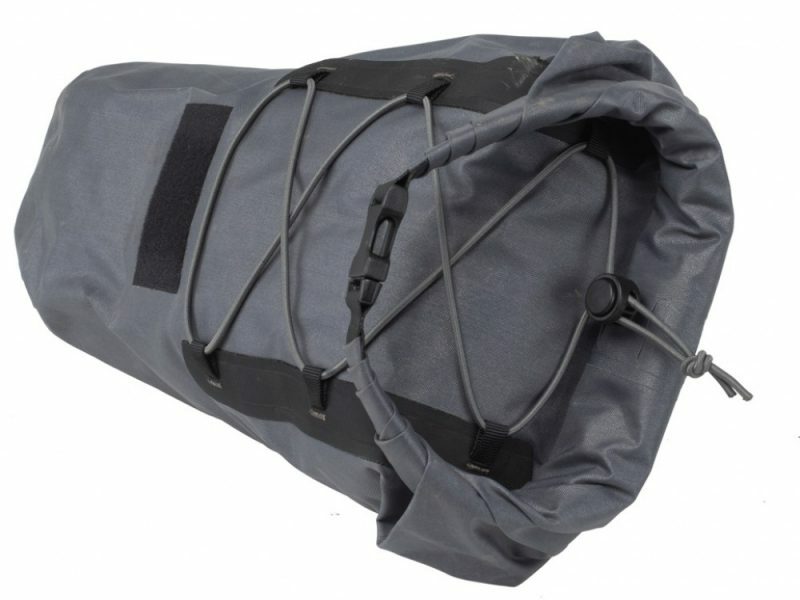 This waterproof dry bag features an air purge valve so that you can pack your bag as tight as you need, roll it down to remove excess air and never worry about leaks. Able to carry a bevy of cargo, and stable enough to not swing around while it does. Blackburn carefully considered what is put in each of the Elite Universal Seat Pack and tailored the compartments, pockets and other features to make sure there is a perfect place for everything. Great adventure bag! 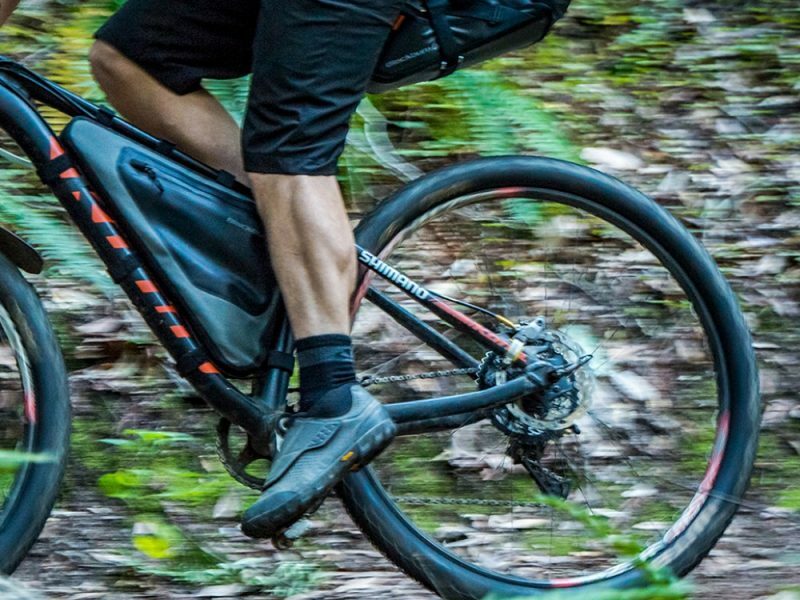 The fact that it holds still white you are riding on the trail, is compatible with a dropper post, and keeps things dry no matter the mud… earns our top marks!